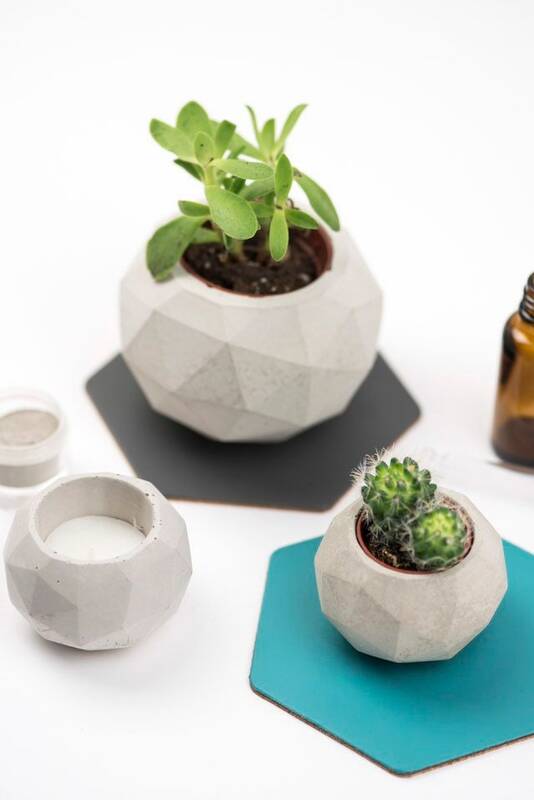 This geodesic sphere planter is made from pure concrete and ideal for cacti and succulents. 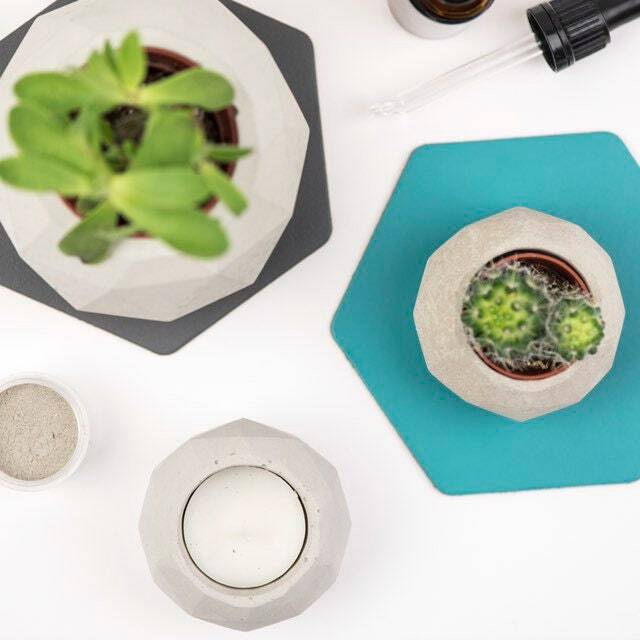 Concrete is only very slightly water absorbent and you can put plants directly into the planter. It is suitable for both indoors and outdoors. 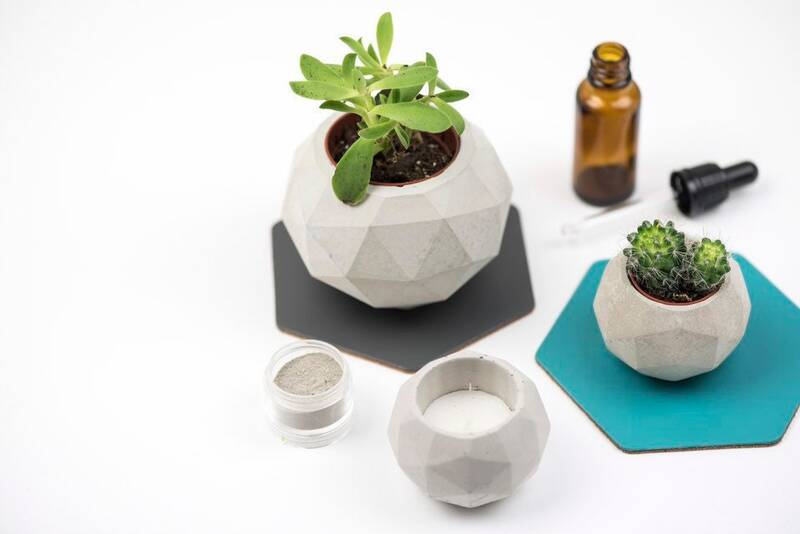 The dimensions of this planter are 8.5 cm in diameter, with the opening being 5.5 cm wide and about 7cm deep.